‘Iolani Guild is a devotional and philanthropic Society of the Episcopal Church in Hawai'i committed to: (1) daily personal prayer and Bible study, encouraging all members to do as much as personally able to in the Hawaiian language; (2) regular attendance in Sunday worship in our home churches and encouraging use of the Hawaiian language in our local churches in the liturgy; (3) personally honoring and actively encouraging the commemoration of Alii members and supporters of the Guild and the Diocese in our home parishes; (4) supporting the ‘Iolani Guild scholarship program currently for students of native Hawaiian and other Polynesian heritage at St. Andrew’s Priory School; and (5) supporting an annually designated out-reach ministry of the Guild. Our Constitution and By-Laws, Article II, Section 1, states that “it shall be the purpose of ‘Iolani Guild to promote in its members zealous and earnest work for Christ and His Church.” Thus, one will note that all efforts have or are being made to maintain our commitment in this manner as shown through a historical perspective of our Guild. The work of the Society continued with Mrs. Alfred Willis, wife of the 2nd Anglican Bishop, “to help sew for the poor,” in 1872, with Queen Emma maintaining to be a very active member of this organization. As part of the Guild’s mission, in the past, it has contributed to many institutions, including Single Memorial Hospital on Molokai and St. Mark’s Mission and Sunday School on Oahu as well as meeting the children’s needs attending summer camp at Mokuleia. Also noteworthy is that the Guild assisted the Cathedral of St. Andrew in its outreach program with the Senior Citizens, who reside at Keola Hoonanea. The Cathedral was one of four (4) churches which helped to “start” this facility. Our visits with the residents consisted of a morning prayer service in their chapel, followed by some type of social activity, and refreshments. The Guild is no longer able to do this project because there are so many non-English speaking residents. In addition, ‘Iolani Guild has also contributed to the maintenance of the Cathedral, providing the funds from time to time toward purchasing furniture in church offices, repairing some of the church pews, repairing the Kahili in the Cathedral, and donating the cost of one of the ceiling fans. Of great importance is the fact that the Guild provided financial assistance at both ‘Iolani School and St. Andrew’s Priory School to needy children of Hawaiian parentage, with the establishmen in 1913 of the Caroline Clarke Memorial Scholarship Program. For many years, funds for this purpose were raised in various ways. No attempt was made to establish a permanent fund until 1931 when a capital fund was started with “a little over $1500.” The income from this fund is solely used for scholarships. This invested scholarship fund is handled through the Diocese and currently totals over $70,000. Some of the Guild’s early “scholarship” records have been lost or destroyed; therefore, we are unable to determine the number of scholarships awarded prior to 1982. There is some reference, however, to the fact that scholarships were discontinued during World War II (1941-1946). There is also a reference that during the years 1978 to 1981, scholarship money was pledged to the Priory Building Fund. “Scholarship Giving” resumed in 1982; and since then, ‘Iolani Guild has provided scholarships for approximately 25 students from both the Priory and ‘Iolani School, limiting per student with either one (1) $3000 scholarship per year or three (3) scholarships, each for $1000. At the present time, the Guild provides only one (1) scholarship of $3000 per year to a needy student at the Priory, meeting the following guidelines: (a) Episcopalian - ‘Iolani Guild Family members; (b) Polynesian or part-Polynesian parentage; (c) Scholastic ability, grade of C or better;(d) Financial Need; (e) participation in extra-curricular activities; and, (f) high school level. During the tenure of the Rt. Rev. Harry S. Kennedy, the two congregations of the Cathedral were merged in 1959. The ‘Iolani Guild and Auxiliary of St. Andrew’s Hawaiian Congregation was changed to ‘Iolani Guild of St. Andrew’s Cathedral. Of special interest and importance is ‘Iolani Guild’s sponsorship of commemorative services during the year in recognition of certain Hawaiian Alii, who became members of the Episcopal Church. The commemorative dates celebrated are: (a) January 2-Queen Emma’s birthday; (b) February 9-King Kamehameha IV’s birthday;(c) May 18 – Queen Liliuokalani’s baptism and confirmation; (d) Sept. 2 – Queen Liliuokalani’s Birthday; (e) October 16-Princess Kaiulani’s birthday; (f) November 28-Feast Day of Queen Emma and King Kamehameha IV; and (g) December 11-King Kamehameha V’s birthday. Today, the Guild continues its tradition in this regard. It cannot be emphasized enough that the FEAST on November 28 is a very memorable occasion. In the past, ‘Iolani Guild has strongly urged ALL Episcopal Churches throughout Hawaii to celebrate this important event. We again do so. In Hawaii Nei, we all must recognize the “great work” of our Majesties, King Kamehameha IV and Queen Emma. With their dedication and commitment, they promoted the establishment of an Anglican church in Hawaii in 1860 by “reaching out” to the English Monarchy and the Archbishop of Canterbury about the proposed mission, even offering a site for the church; with their unselfish and diligent attitude towards the health and welfare of our natives and non-natives, it led to the formation of the Queen’s Hospital in 1859; and, with the education of our population foremost in their minds, it resulted in the establishment of ‘Iolani School and St. Andrew’s Priory School for Girls in 1867. Currently, as the oldest membership of The Cathedral of St. Andrew and the Diocese of Hawaii, ‘Iolani Guild, which officially numbers approximately seventy (70) on its membership list, remains autonomous. ALL Episcopal Church men and women may become members of the Guild, with the full payment of $100 or for regular members, dues shall be $20 per year, payable no later than March 31. General Membership Meetings of the membership are held quarterly in March, May, September, and December, unless otherwise authorized. These particular meetings will be held in the Von Holt Room at the Cathedral of St. Andrew, from 11:00 a.m. to 2:00 p.m., with a Potluck Lunch served, and guest speakers invited to make presentations relevant to our yearly commitments. All members are strongly encouraged to attend these meetings not only for the purposes of camaraderie and friendship, but also for information, discussion of issues "brought forward", input, decision-making and follow-up plans. The Board of Directors will meet on the first Thursday of each month, except for June and July. The meetings will be held in the Cathedral of St. Andrew's Von Holt Room, from 9:30 a.m. to 11:30 a.m. All members are welcomed at these meetings, if they wish. 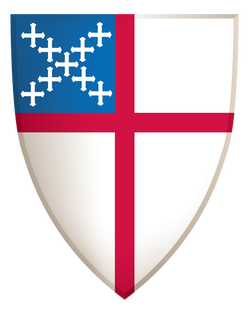 Membership in the 'Iolani Guild is open to all Episcopalians, male or female, including dioceses beyond Hawai'i. For those prospective members who may be interested in joining the 'Iolani Guild, contact Vice-President, Beatrice Fitzpatrick, who is also the "temporary" Membership Chair, at 2499 Kap'iolani Blvd., #1707, Honolulu, HI 96826, phone: 808-232-1095, or e-mail her. A membership/registration form can also be downloaded HERE. 'Iolani Guild encourages all congregations of the Diocese of Hawai'i to observe the special Ali'i commemorative days. Click HERE to view a listing of all Commemorative Celebration dates. New Quarterly Magazine is Launched!